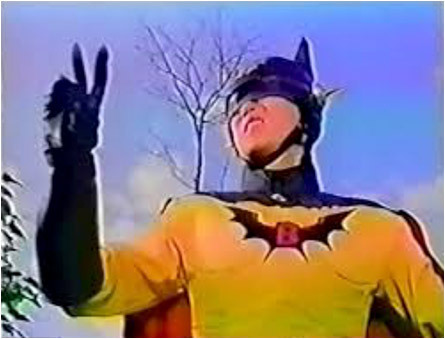 Full disclosure: Never actually saw the whole Super Batman vs. Mazinga (1990) movie as it was playing on a TV screen in an independently-owned and operated video store. I watched it for about an hour before they kicked me out for not buying/renting anything. 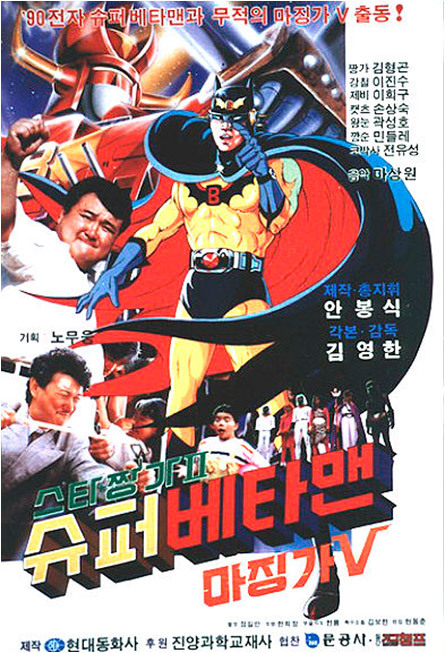 From what I was able to ascertain by blocking the aisle is that Super Batman Vs. Mazinga is a Korean kid’s movie starring an Asian version of Batman. He looked cheesily awesome and with more colors than his US counterpart (the ’60s version, not the super cool 2005 Batman Begins version). 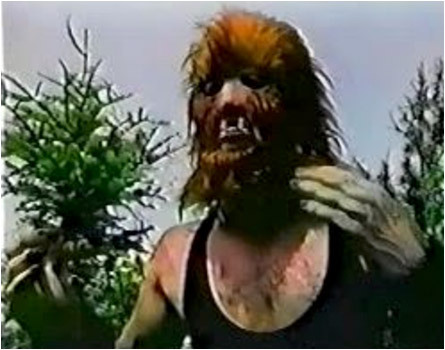 The Koreans got it right by dumping the Joker and the Riddler and having Batman battle unlawful werewolves and criminally-intent aliens. That was/is quite excellent. And he does this not with a Bat-a-Rang™ or help from his festive sidekick Robin, but with amazing martial arts ninja punchings and kicks. And it didn’t have sub-titles. Who cares? I don’t need words when Batman is punching a werewolf in the hydrant or yanking the tentacles off an alien and beating it with them. Don’t know how it ended, but I’m pretty sure Batman won. I wouldn’t want to know if he didn’t as that would seriously make me distraught.